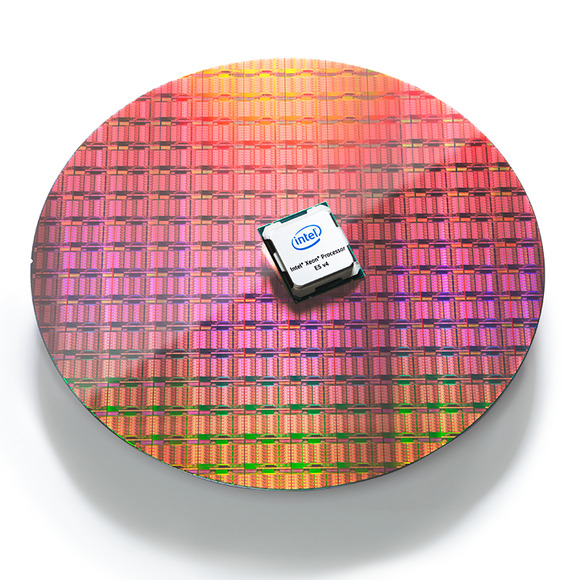 The chips, based on Intel’s Broadwell microarchitecture, will also go into workstations. Paired with a high-end graphics processor, workstation users will be able to develop virtual reality applications and edit 4K video. Those workstations will likely use the quad- and six-core variants of the new chips. In 2015, most of Intel’s top seven cloud customers upgraded to servers with more cores, Lane said. Cloud providers want servers with more computing power, in order to rent out more virtual servers and pack more cloud services onto each one, Lane said. Cloud providers like Google and Facebook build vast data centers based on Intel chips, but they’re also considering alternative architectures like ARM and IBM Power. Qualcomm is making a 24-core ARM server chip that reportedly has support from Google. Intel is sitting pretty today, with some 90 percent of the server market. ARM and Power have virtually no market share, but they’re getting enough attention for Intel to be concerned and take action to retain customers. An add-on card available at a later date will allow the implementation of Intel’s proprietary OmniPath fabric interconnect, which boosts data transfer speeds between storage, memory, processors and other components. Intel has not shared details on the underlying technologies in OmniPath, which is targeted mostly at high-performance computing. The chip’s integrated networking, storage and I/O support are almost identical to the predecessor Haswell server chips. That’s a trade-off Intel had to make to keep the new chips compatible with existing sockets in Haswell-based servers so upgrades are less costly for customers.